Hello! 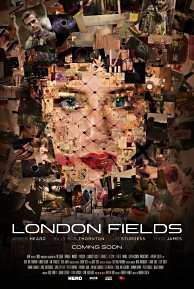 Here you can watch the first official clip of Amber’s upcoming movie ‘London Fields‘.  This clip is focused on Amber. It’s a short clip, but we can see the dark atmosphere that seems to stand out from the film. You can watch the clip below, and I’ve uploaded HD screencaptures in the gallery. The film was set to have its world premiere last friday, during the 2015 Toronto International Film Festival, but it finally was pulled of the programation for a legal matter that has arisen between the director and the producers. We know that studio Lionsgate had bought the film for distribution in theaters, but with these legal problems, we don’t know when the movie could be aired in theaters. Hello! Here is a great news for us! Amber’s movie ‘London Fields‘ that is also starring Theo James, Billy Bob Thornton, and Jim Sturgess will get it world premiere at the 2015 Toronto International Film Festival, this next september. Amber Heard plays the main female character “Nicola Six“. If you want to see the movie before everyone, you know where you have to go!! I’ve also uploaded a new still of Amber as Nicola Six in the gallery. Here comes a great news! First official stills from movie ‘London Fields‘ recently released on the Internet! Unfortunately, they are in LQ, but here are three stills of Amber Heard and her co-stars Billy Bob Thornton and Theo James. You can also check few pictures from behind the scene of the movie. You can find these pictures below.